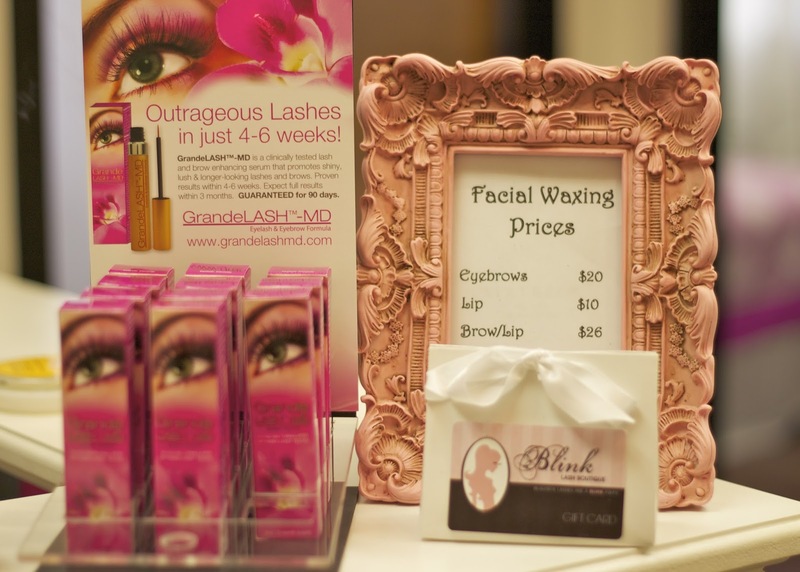 Last week I had the great opportunity to get my first eyelash extensions at Blink Lash Boutique! I have been hearing about eyelash extensions for quite some time, but didn't have the courage to get them because I thought they would hurt or damage my natural lashes, but I have since learned that is totally not the case! 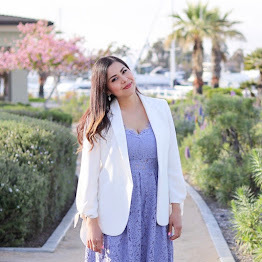 I am so glad that I went to Blink Lash Boutique for my first eyelash extension experience because they are so welcoming and they are highly specialized in this area. I met with Janelle, co-owner of Blink Lash Boutique who educated me about eyelash extensions as she placed my extensions in. She explained to me that one extension lash is glued per natural lash and the glue does not touch your skin. They customize the extensions depending on what level you desire from a demure "Bashful" to a voluptuous "Bombshell" set. You can also choose from synthetic to faux mink to mink lashes! For my eyelash extensions I wanted lashes that were demure, yet noticeable. When I looked in the mirror I was astonished at how natural my eyelash extensions looked! The extensions blend in with my natural lashes giving them much needed length and volume which also allows me to be mascara free. They are also curled, so no curling is needed! I so underestimated the power of eyelash extensions because now I wondered how I went all this time without them. I absolutely love them! I'm sure one of your concerns would be if it hurts when they come out- if you take care of your lashes, the eyelash extension will fall off when the natural eyelash sheds at which point you can go in for touch ups. 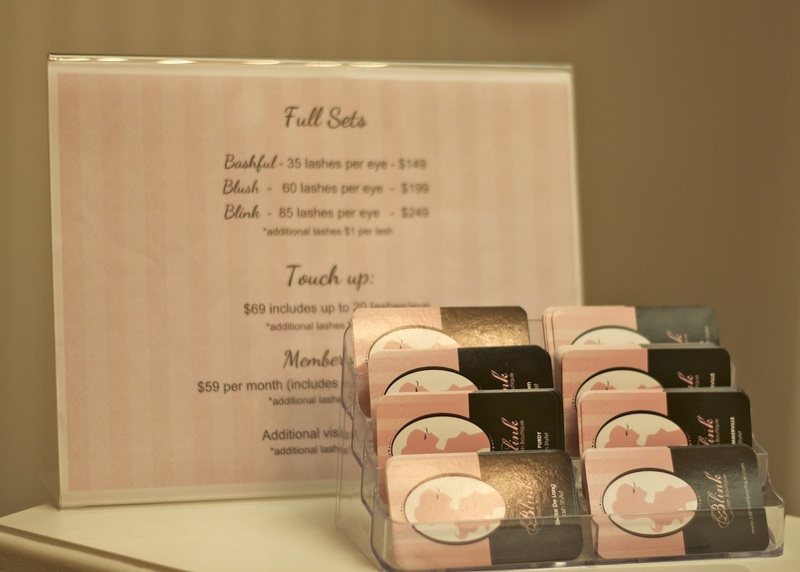 If you are in the San Diego area and are interested in eyelash extensions, especially for all the first timers, I highly recommend going to Blink Lash Boutique. They have the cutest ambiance from the chandelier to the chic accents- they provide a soothing setting. Their website also has so many tools and resources like FAQ's and how to's which I keep referencing to make sure I'm taking good care of my lashes. You are in good hands at any of Blink's 3 locations staffed with experienced lash stylists. Yay...I had mine done at blink and loved them. But I think I am too rough on my eyes and lashes because they fell off way too quickly. The salon was great though...I wish they would work so I could keep doing them!! Yours look amazing though!! So jealous!! Oh wow, that is such a huge difference!! They look amazing! Your lashes look great and they look very natural not too over the top. The place looks so cute too! Your lashes came out amazing ! I want to do this but I'm so afraid don't know why! I love the outcome on you Pau, the extensions accentuate your already pretty eyes even more! I've always been interested in getting eyelash extensions, but I've heard some horror stories that have kept me away from it. Yours look so great and natural! Wow! I'd like to put them everyday! so cool ive been wanting to do this! !